Pro Hoops Inc., services the Professional Basketball Player and aspiring ball players with a knowledge and a passion unmatched by anyone else in the World. Years of expertise and knowledge have been put together from separate specialties in order to create the most cross-functional service for basketball. 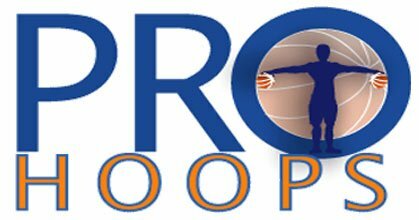 Pro Hoops Inc. is a results-driven basketball training service for teams and individuals seeking to improve their hardwood performance. Our commitment to developing custom programs to address our clients needs has helped us become the training service of choice on the East Coast. Our mission is to help basketball players of all ages reach their full potential. Pro Hoops Inc. works closely with players to make sure their needs are addressed. Each player is unique and that is why our programs are designed for the sole purpose of improving one&apos;s game. Our programs do differentiate from player to player in terms of the time spent in each area or the amount of reps we do. The things that won&apos;t change are the core concepts and terminologies that are taught by each trainer. This eliminates a lot of confusion that most players face when being taught from different parties. There are many philosophies that work but we feel confident from the players that have walked onto our courts that we are doing things the right way. We offer an array of services from basketball skills workouts, strength and conditioning, massage therapy, clinics, camps and more. For more information about our customizable basketball training solutions, or to join an upcoming camp/clinic, please contact us by telephone (516-629-6148) or email (training@prohoops.net). You can also visit our site at www.prohoops.net.